Adam Marsh - Enhancing productivity for schools across the world - through great design. 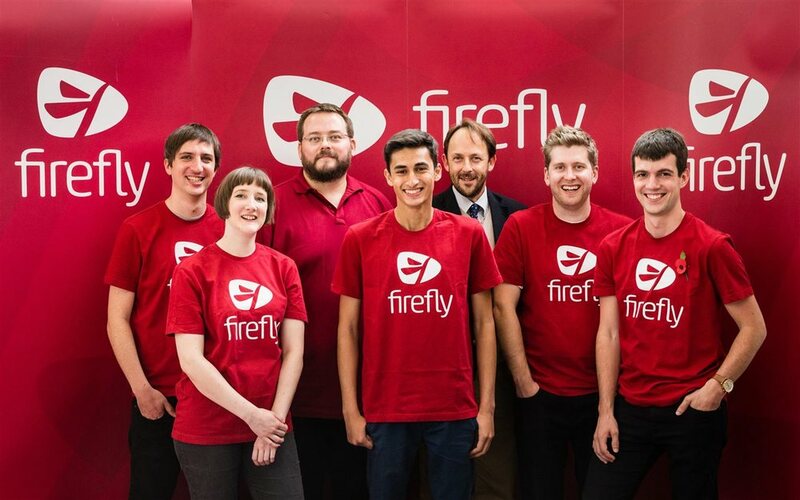 Me (centre) with the Firefly founding partners (far left and far right) and design team. I worked as a graphic design intern at Firefly Learning, a London based company that makes intranet system for hundreds of schools all over the world. Their platform allows for easier communication and better sharing of online resources. Teachers can set homework tasks online and it will be sent directly to their students accounts and mobile devices. Students can mark the homework as 'done' when completed, or submit the work by uploading it online. This, plus many other features make Firefly's platform a vital tool for any education organisation in the 21st century. "We enjoy writing and supporting software that teachers, students and parents enjoy using. By focusing on education, we can make sure that Firefly has just the features you need and not the ones you don't. A lot of our best ideas we get from the teachers, students and parents we stay in close contact with as we continue to develop the product!" My initial concept for the template. I was reporting to Head of Design Jon Roobottom who asked me to create a new template for the web interface. I spent a couple of weeks coming up with concepts however none of them stood out as being strikingly different or better at anything. I wanted my design to increase productivity and provide a better experience to all users. Jon went on holiday for a week and asked me to continue working on template designs. During that week something clicked and I realised a key way to make the user experience better was to reposition the navigation into a place were it is more accessible. It's a solution used on thousands of sites already, it was to quite simply add a sidebar with all of the navigation links. Instead of having to scroll to the top to find the page you want, it's always waiting for you on the side. I then started to structure the whole page around this sidebar. I wanted the page to have a modern and current look, so I went for a completely flat interface with a big focus on neat text. I removed all of the unnecessary clutter so all that was on the page were the things that you need, arranged beautifully, so its easy and quick to use. When Jon returned he really loved the design so my next focus was to refine it, make it more user friendly and create some more mock up's of it in action. I tried different fonts, colours and icons. As the sidebar is the only thing that remains constantly on each page, I wanted each school to be able to customise how it looks. With space for their logo at the top, the background can be changed to any colour to match the schools brand. Fonts, buttons and other page elements can be customised to help create the perfect look for each school. In October it was the Firefly Learning Conference where founding partners Simon & Joe unveiled 'columnist' the new template. When the developers went around to actually making it, some changes were made to increase functionality but the majority of it stayed the same. The idea I conceived and spent several weeks refining is now available to Firefly schools and it's great to see students, teachers and parents benefit from the new design and the functionality in the new sidebar. It was an incredible experience working with the friendly team at Firefly and I am really excited to be retuning next summer!